Zimbabwe's chances of re-engaging with some of the world's biggest economies are fast fading away after the latest wave of human rights abuses by government security organs which according to civil society organisations has left at least 12 people dead and dozens others injured. Mugabe's rule was characterised by repression and human rights abuses, which had seen members of the opposition murdered, maimed and harassed. These abuses brought Zimbabwe at loggerheads with the international community. While Mnangagwa through his speeches has been making commitments to walk the path, his administration's actions on the ground have betrayed him. Writing on his Twitter account, political analyst Piers Pigou, said the country's re-engagement efforts seem to have gone off the rails, considering the events that took place over the past week. "Zimbabwe's international re-engagement project appears somewhat off course. What is the cost benefit of this trip?" Pigou queried, before further stating in another tweet that, "Mugabe was repeatedly criticised for endless foreign travel. "ED's (Mnangagwa) travel plans were ostensibly tied to his re-engagement strategy. "But in light of the situation in Zimbabwe one understandably wonders what the cost benefit of all those air miles must be." Writing on his blog, The Big Saturday Read, Magaisa said Mnangagwa's administration has proved to be brutal, if not worse than the Mugabe regime. "The irony is that while Mnangagwa will be telling the Davos crowd that ‘Zimbabwe is Open for Business', the reality at home is that Zimbabwe is not open for the Internet and social media, themselves important platforms and tools for doing business. "There has never been a more self-defeating exercise than implementing an Internet blackout twice in a week when you are busy pleading for investors to come to Zimbabwe. 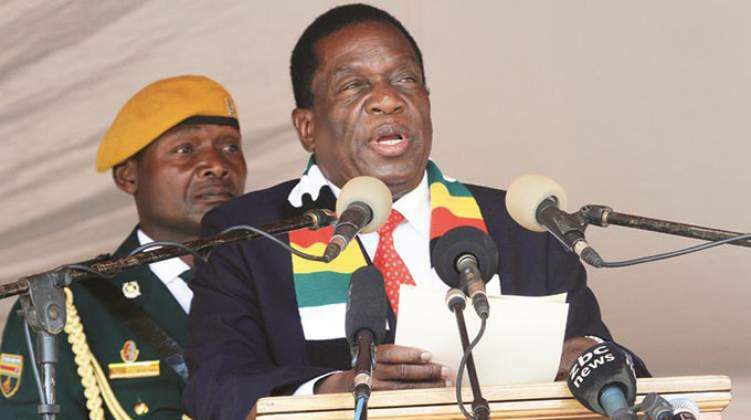 "Mnangagwa has begun to sing the old Mugabesque ‘blame the sanctions' song, but the truth is his government is doing everything possible to discourage and scare off potential investors. "With Zimbabwe back again in the news for all the wrong reasons, it is a hard-sell to investors," Magaisa said. MDC MP for Kuwadzana East constituency Chalton Hwende, said Mnangagwa's dreams have been shuttered owing to the events taking place in the country. "Now the Zimbabwe is open to business mantra is up in flames. "The world is just now seeing the real ED, yes Zimbabwe has changed for the worse; Mugabe never used soldiers to kill protesters, never closed Internet, never denied arrested activists time to prepare for their trials," he said on Twitter. Another economist, who spoke on condition of anonymity said since Mnangagwa came into power, his goals to re-engage with the international community are being blown away by events taking place in the country.